It’s that time of year again! Time to get your family photos for holiday cards!!! Mini-sessions for the 2018 Holiday season will be on Thursday, November 15, 8:30-10:30 and 2pm-4pm; AND Saturday, November 17, 8:30-10:30 and 2pm-4pm. (Rain date: Sunday November 18). Photo sessions will be held at Gretchen Willis Photography property. 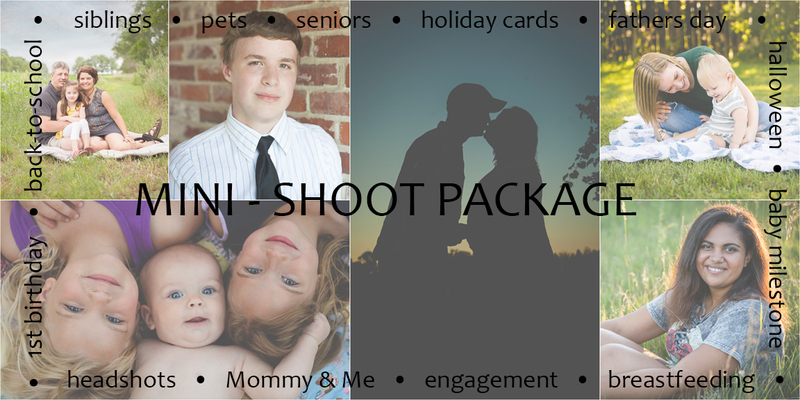 * These sessions are just $50 when you purchase a package of 4 mini-sessions for a total of $200, which includes a $100 product credit for professional prints, full-size digital downloads, ornaments, albums, and more. Additional people are $10 each per session. 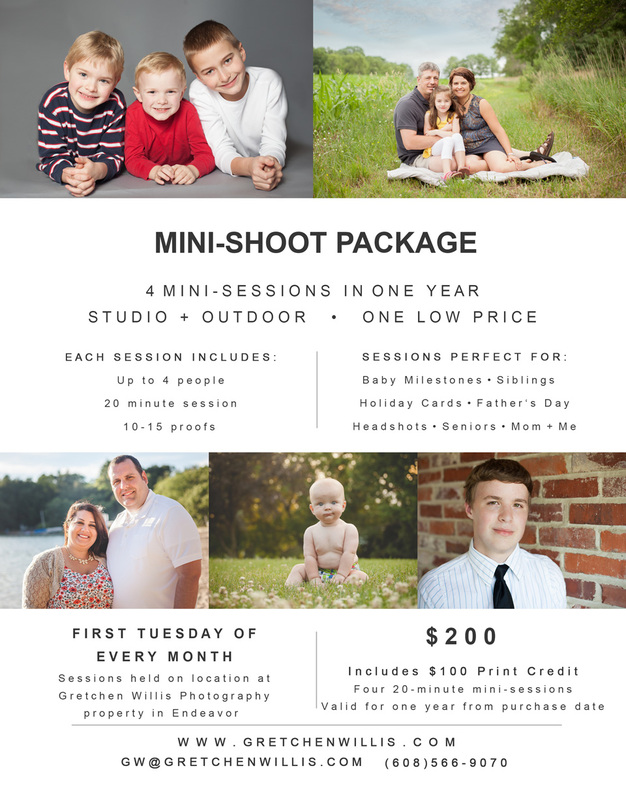 What can you use the other mini-sessions for throughout the year? How about…. Each mini-shoot can accommodate up to 4 people, but they don’t have to be the same 4 people each time. Additional people are $10 each (per session). Gretchen Willis is a Family Photographer serving Portage Wisconsin and the surrounding area including Wisconsin Dells, Westfield, Montello, Poynette, Baraboo, Sun Prairie, Madison, and beyond. Contact Gretchen Willis Photography today to schedule a session!